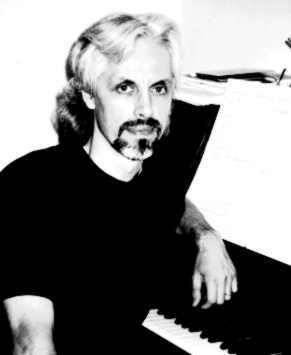 Frederic Glesser's musical spectrum ranges from his blues/ jazz influenced "Saucy Sally, Mad Mary" for trombone and percussion, to the arrangement of The Allman Brothers' Band "Statesboro Blues" for string quartet, to the zany "Clearly Glass" written for Toronto's The Glass Orchestra. His solo piano composition "For One" ("It is as much about silence as music" wrote music critic Tim Smith of Fort Lauderdale's Sun-Sentinel) written for pianist/ composer Max Lifchitz is now recorded on the Grammy-nominated North/ South Recording "Final Bell". His catalog also contains numerous contemporary mainstream works from small ensemble to full orchestra, which will include the upcoming series of compositions written specifically for youth orchestra. A competent flutist before turning his attention entirely to composition, Glesser has also produced a number of significant pieces which spotlight the flute. His "Sonata" for flute and piano is now available through Falls House Press and is distributed solely by The Theodore Presser Company. Composer/ flutist Frederic Glesser grew up near Toledo, Ohio, where his earliest musical influences were rock, jazz, and music of the Baroque era. He studied jazz with Gene Parker and studied the flute with Kay Hartsfeld. He was later educated at Kent State University (BMus) in Ohio where he studied composition with James Waters and David Stewart, and studied flute with Raymond DeMattia and Maurice Sharp (former principal flutist of the Cleveland Orchestra). His graduate studies where undertaken at the University of Miami (MMus) in Florida where he studied composition with Dennis Kam. Glesser has also been artist-in-residence at the Atlantic Center for the Arts with Donald Martino. Glesser's music has been presented at conferences, festivals, radio broadcasts, and other concert events throughout the U.S., Canada, Eastern Europe, Germany, Argentina, and Brazil. Included among the performers who have presented his music are artists and groups such as Max Lifchitz, Kathleen Supov�, Luis G�mez-Imbert, Ingrid Gordon, duo Ahlert-Schwab, Michael Linville (of the New World Symphony), North/ South Consonance, Ibis Camerata, the Florida Symphony, The Akron Youth Symphony, The Canton Youth Orchestra, and The Glass Orchestra.. His compositions include works for small to medium ensemble, solo piano, and orchestra. Select works are recorded on Albany, ERM Media, North/ South, and Zimbel Press.